Brookline native Joey Blechner and his wife decided it would be safer to stay in Florida throughout Hurricane Irma rather than leave for one important reason: his wife, Daniella, is 39 weeks pregnant. “Being that everyone’s from Florida, they know once they call an evacuation all hell breaks loose. It takes forever to get out and when you’re 39 weeks pregnant, you don’t wanna be stuck in the middle of the highway giving birth,” Blechner explained. 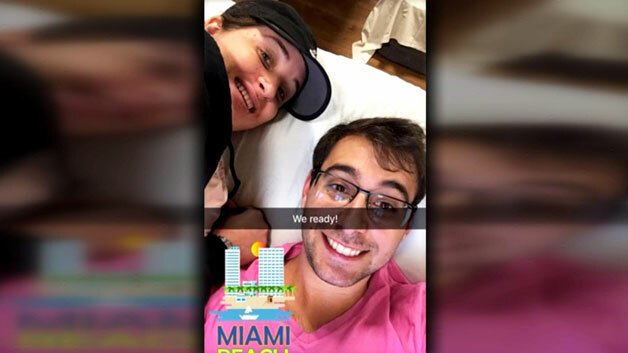 The couple, along with at least 27 others, will be staying at the maternity ward in Sinai Medical Center near Miami Beach. Blechner said their doctor assured them that they will be safe and the hospital will be fully staffed. “We’re going to take our doctor’s orders,” he said. Miami police have military style vehicles ready to evacuate patients just in case. Blechner does not think it will come to that.